What an eye opener !! 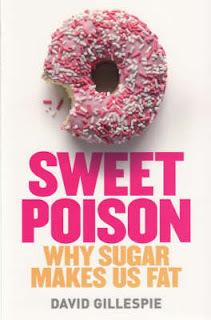 The facts contained in the book are frightening.... the affects of sugar..or rather fructose on our body lead to not only weight gain but also a whole host of health issues.... one of which is breast cancer. This one little word was like the deal sealer! I am at the 4 years clear mark....and if I can do anything at all to continue on a healthy path I will.. so choosing when I will ...or wont eat sugar seems such an easy thing to do. I've had zero cravings.... and enjoyed testing out some new recipes. I chose to have one sweet dish this week....Meggles made a quince crumble...and I had a small bowl....I thoroughly enjoyed it....and felt very satisfied with just a small serve. 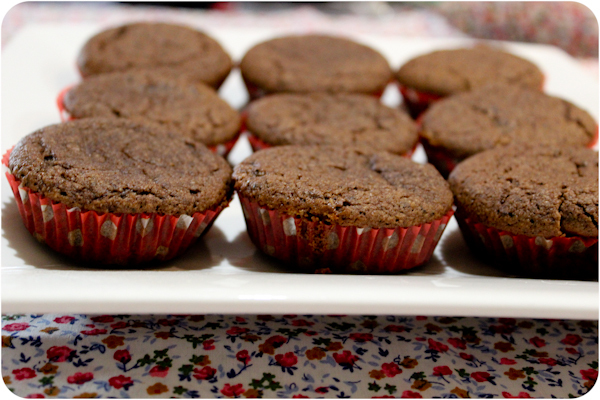 However.....they taste rich and chocolately.....and luxurious. 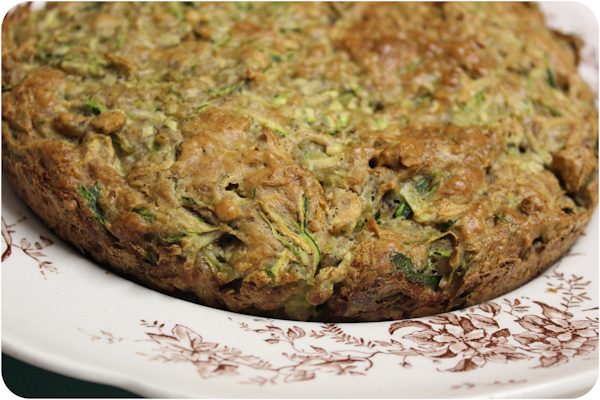 This zucchini cake from the I quit Sugar plan - by Sarah Wilson. Although it could have used a little extra sweetening....it tasted a bit like zucchini bread to me. 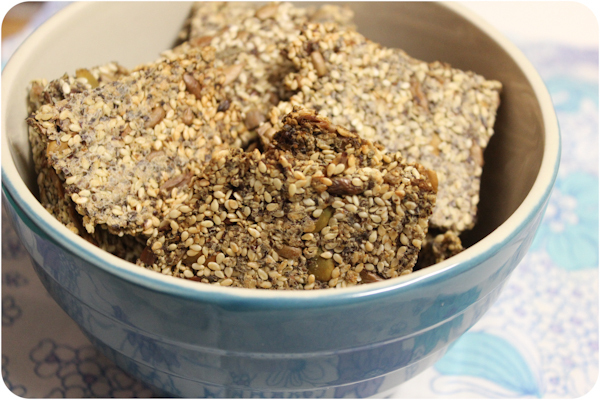 I'm slowly working my way through the recipes.....and when I'm stuck there are stacks of links to other healthy food blogs ....I have been bookmaking like a woman possessed. 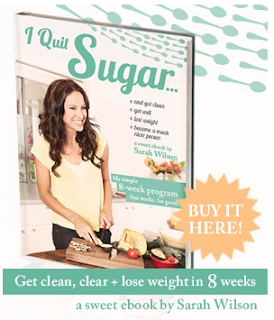 Good luck to everyone joining me on this sugar free journey... I've loved the emails...comments....and recipe sharing.... thanks so much. I am not sure I could ever totally give it up but I am going to promise to cut down on how much I consume (says me who just ate 3 chocolate biscuits this morning - very naughty I know). Reading that sugar intake is linked to serious health issues such as breast cancer is amazing and yes for you a real eye opener. I am thrilled your still cancer free and can't believe it is already 4 years since that time. I am going to do some research on the Internet this week end and find some new recipes I can try making that do not use sugar. Wish me luck, my family are not going to approve as they are sugar junkies too. I predict it might take some blackmail to get them to try some sugar free treats. I always love your posts about quitting sugar. I'm the same as you.. Not missing it at all, no cravings.. Which has really surprised me. It has been a really easy decision and easy process...quite amazing really. I want to track that book down as well.. I'm keen to read it too. I have long been amazed at the effects different foods have on us physically.. Both good and bad effects.. And for me too, sugar just makes me feel blah. Always love reading about your cooking too!